I'm looking forward to the dread that will wash over and paralyze me when I run into the towering Mr. X in Resident Evil 2 . Unstoppable stalking enemies are a staple or horror games, but it's not to say I'll ever be used to dealing with them. They freak me out so much – but in a good way! The regenerating necromorph in Dead Space has me nervously checking behind my back every two seconds. Alien: Isolation makes me hold my breath in real life as if that will help my character stay hidden and not get shredded to pieces. The Nemesis immediately sends me bolting to the next screen. Resident Evil 2 's Tyrant is a little different, though. He's stoic and calculated in a way that's somehow even scarier. Mr. X is not in a particular rush to kill. He seems to know he'll catch up eventually. 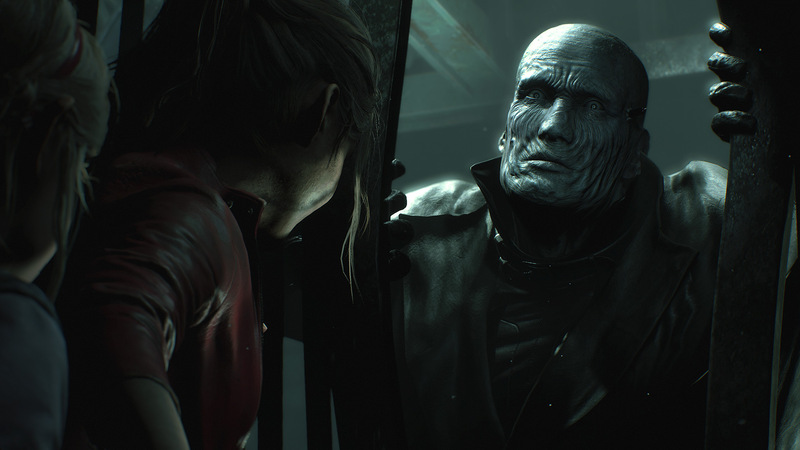 There are a few super nice touches in this latest trailer, but my personal highlight has to be the moment at 1:50 in which Claire is picked up by her face, stabs Mr. X in the arm, and he sort of just curiously looks at his wound, giving her a chance to flee. This horrible big-headed trench coat wearer can not be blown up soon enough, folks. Capcom also uploaded a bonus trailer for Resident Evil 2 with fan favorite Ada Wong. Peek if you'd like. I'm alarmed that how quickly this year went by, but on the other hand, that means RE2 is almost here.